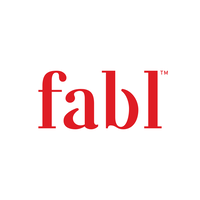 Fabl is a content marketing software that enables users to create immersive digital content in order to connect with their customers and increase their conversions and sales. Through its publishing platform, users can create visually-rich and branded web content without the need for designers and coders. Ready to try Fabl? Request for a demo. As of the date this article was written (10/15/18), there are no up-to-date user reviews of Fabl online. If you are a past or current Fabl customer, leave a review to help others who are deciding whether or not to use Fabl. Fabl does not publish pricing on their website, but apps similar to it cost anywhere from $19 to $300 per month, depending on the features included. Contact their sales team to get a quote. Ready to try out Fabl? Request for a demo. How can Fabl help my business? Fabl helps businesses by producing immersive content that is designed to boost customer engagement and generate sales. 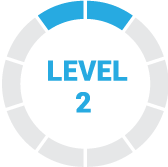 It is used for branded native advertising campaigns, contextualized eCommerce experiences, business-to-business (B2B) lead-capture conversion, and branding amplification. Fabl also has analytics tools that help users assess a campaign’s reach and impact. Can readers share the content created on Fabl on their social networks? Yes, they can. Readers have the ability to repost their published content, as well as amplify the stories by adding their own content and media and then sharing it on their own social networks. Not sure if Fabl is the right fit for you? Read our reviews of all content marketing software providers or check out one of these three Fabl competitors. We love this program from start to finish. It’s so advanced! Like its characteristics, being able to make use of them has come to us like a glove. Regarding this question, we have not really found anything that we do not like! It should be noted that we are a little demanding and we were surprised not to have found any kind of error, that is why we like it so much. Nor can we answer much about this question, we know it well and completely, we never crossed any opinion after the use, we are only interested in using it. We would have liked him to come with a warning regarding the size and space he occupies, in order to have prepared the company with a more qualified team. It is one of the platforms that we like to use, its design is modern and also has a range of options that only fascinates using for its ease and fluidity. We like many things about this application and none that we dislike, we have little time using it and for the moment everything has seemed a pleasant experience. There is nothing that has bothered us about this application once we have started to use it, they have been specific about it and nothing has made us regret or bother us. Its handling is easy and it is always useful in its role, our team uses it daily and we are more than satisfied with its characteristics and its simplicity. Sometimes the server fails and falls, so our work costs a bit more to perform, however, the team behind this software is as effective as your program. It helps a lot to maintain a good organization, I hope that they continue working so that the program improves much more and these server crashes do not happen so often. We have liked to use this software, it has been comfortable and with many advantages that have provided different benefits to the company, our workers find it difficult to use. I think that the technical service could improve and be faster to answer, it is tedious to wait for days so that our doubts are solved by the team behind the software. The fact of having to experience some failures and that with this arise doubts, in addition to waiting for the technical service is something that would have been better to know before, in spite of this Fabl is a totally recommended software on our part.